As a saxophone teacher, I have written answers to questions that students (and others) have posed about learning to play the saxophone. These miniature articles are available here. The saxophone is one of relatively few instruments in use today that was invented, rather than developed over time. It was invented by Adolphe Sax in Dinant, Belgium in the 1840s. January 17, 1876: The saxophone made what many consider to be its first public appearance in the US when it was played by Etta Morgan at New York City's Olympic Theatre. The saxophone is keyed for a 2.5 octave range - but an expert player can actually play up to 4 octaves through the use of overtones, also known as harmonics. Many of the standard concertos in the saxophone repertoire require the player to master this upper register. The saxophone family consists of Eb sopranino, Bb soprano, Eb alto, Bb tenor, Eb baritone, and BBb bass. The sopranino is about 18 inches long and the bass stands about 5 feet high. The soprano through baritone are the only common instruments. Rare members of the saxophone family, none of which have been manufactured since 1929, include the C soprano, F mezzo-soprano, Conn-o-Sax in F, "C-melody" tenor in C, and the mighty contrabass in EEb. 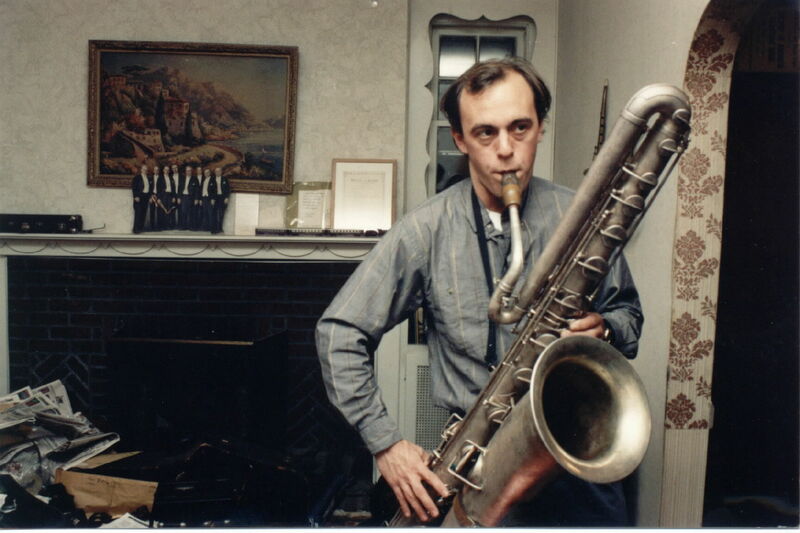 The contrabass stands 6 feet 7 inches high. 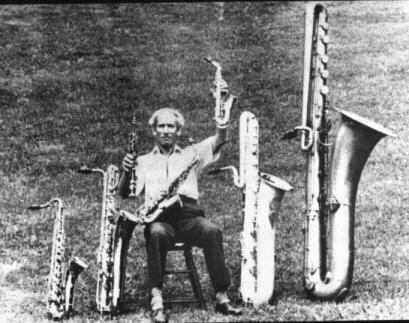 One of the pioneers of classical saxophone playing, in Europe and the United States, was named Sigurd Raschèr. He died 2/25/01 and an overview of his life was published in the New York Times. Other sources: just search for the make and model you want, using yahoo, google, etc.